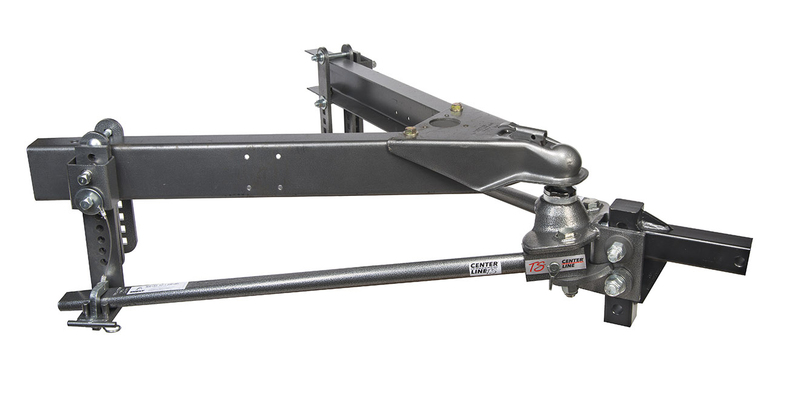 Morgan Hill, CA, November 2014 – Husky Towing Products announced the most comprehensive product launch in Husky history with its innovative new Center Line TS weight distribution hitch system. The Center Line TS combines weight distribution and sway control in a strong, lightweight design that delivers outstanding performance with significantly less noise than competing hitches. The TS has enjoyed exceptional early response from both dealers and consumers. To make the product both strong and light, Husky’s engineers employed 1035 steel in a single piece, forged top plate complimented with trunnions of hardened 1045 steel – both have excellent wear and fatigue properties. Used in conjunction with the innovative head design, these super strong materials complement each other to provide the right amount of clamping force to assist the spring bars and lift brackets in resisting sway. Sub-heading: Super quiet Center Line TS – weight distribution with integrated sway control Summary: Husky’s Center Line TS hitch system combines weight distribution and sway control in a strong, lightweight design that delivers outstanding performance with significantly less noise than competing hitches. Tweet: Safe towing starts with properly equipped vehicles. Husky’s new Center Line TS hitch quietly combines weight distribution and sway control.